As a former examiner, both at grade and diploma level, Philip has an excellent knowledge of syllabus requirements, and gives specific in-house pre-examination coaching, and external master classes, for example, one for senior pianists at Plymouth College. As a consultant, he has been involved in syllabus-setting for the Electronic Organ, as part of the Trinity College London Keyboard Syllabus at Grade and Diploma levels. 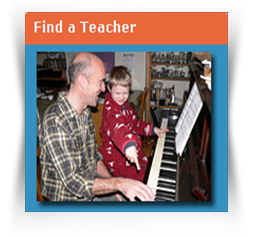 While Philip essentially teaches only piano and theory, he did have a long-standing keyboard student, and also taught recorder to a gifted pianist. Click to download a printable poster (A4), or click for a map, or an aerial view, which includes parking, travel, and other general information. If using Sat Nav, the postcode is PL9 8AL. A former secondary-school Head of Music, Philip now gives individual private lessons in Piano, Theory and General Musicianship, from Initial Grade up to Diploma Level, entering students for examinations of the Associated Board of the Royal Schools of Music and Trinity College London. 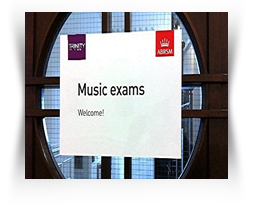 As well as Classical Piano, students also can study for the Jazz Examinations of the ABRSM. Philip's fees reflect current EPTA (UK) guidelines. 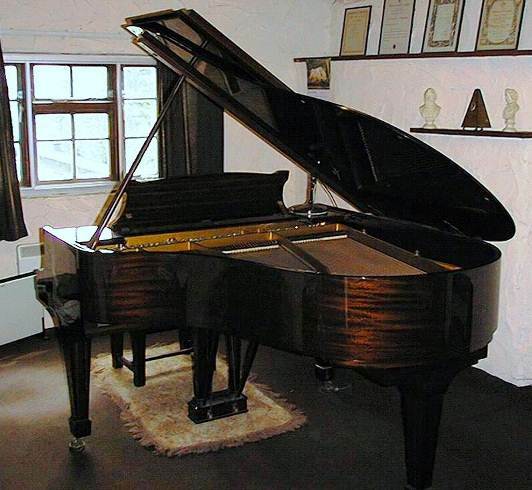 All lessons are given on his regularly-tuned and maintained Steinway Model 'M' Grand in Philip's studio, adjacent to his house in Plymouth, UK. 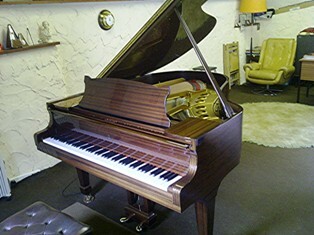 In May 2011, Philip's piano had a complete rebuild, which took just over four months, and which has given the 1964 instrument a new lease of life. He now has a top-of-the-range Yamaha CLP Clavinova Digital Piano, for personal use in the house, and as an emergency back-up should the studio power/heating ever fail temporarily. Philip is a Professional Member (PMEPTA) of the European Piano Teachers' Association (EPTA UK), and has also written music and software reviews, and articles for Piano Professional, the Association's magazine. Click to read some of these. 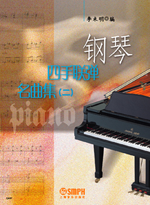 An excerpt from his Maltese Islands Suite also featured in the September 2005 edition. An article on Music Software appeared in the August 2014 edition of The Studio - the quarterly magazine of the Music Teachers' Association of New South Wales (MTA), Australia - and which also featured the first part of Philip's extended essay on The Romantic Piano Concerto, the final part appearing in the subsequent edition. Click to see Philip and Music Teachers' Association President, Dr Rita Crews OAM, after having lunch together at Sydney's Sir Stamford Hotel at Circular Quay during Philip's third visit to Australia. Philip's compositions, like the Five-finger Movement duets, are also very popular with his students. Leading UK writer of children's and adults' piano music, Pam Wedgwood wrote: 'I think your ideas are very sound and could work well!' Click for a down-loadable fact sheet. 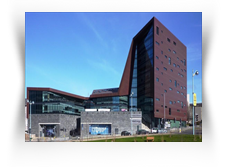 Philip is ideally qualified to recommend the best course of study for the individual student. 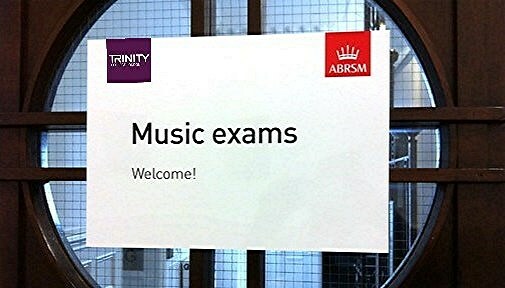 For those youngsters at the outset of their learning, the Initial examination from Trinity College London possibly provides a better introduction to the examination system, in that it has (albeit in miniature) all the main components - scales, exercises, three pieces, and options which can include sight-reading, aurals and improvisation. For practical exams up to Grade 8, Philip then opts for the ABRSM, which involves passing Grade 5 Theory as a pre-requisite for Grades 6-8, before continuing with the newly-introduced ARSM diploma. Trinity's Advanced Certificate may be taken in preparation, but following the ARSM, Philip prefers Trinity's three-tier diploma structure - ATCL - LTCL - FTCL - to that of the ABRSM. 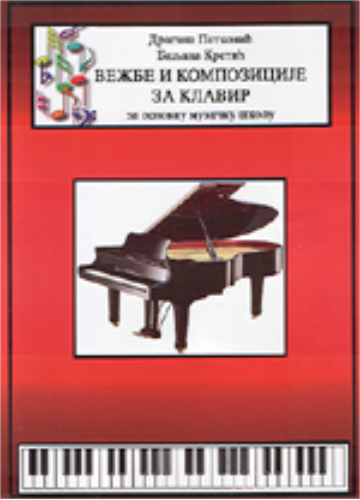 In 2004 Philip was involved in the publication of a new initiative in Belgrade, Republic of Serbia, specifically for use in the Elementary Music School. 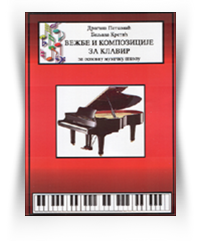 Piano Pieces & Exercises has been specially composed and arranged by Head, and former Deputy Head of Piano at the Josif Marinkovic Music School, Dragana Petkovic and Biljana Krstic. Pieces & Exercises was originally published in Serbia by Narodna knjiga. A small selection of pieces by Biljana and Dragana can be seen as part of Philip's catalogue at Score Exchange. Tragically, Dragana (born1969) passed away suddenly in March, 2007. Finally, here are just some of Philip's successes, past and present - but as most have been with Philip for a long time, the photos aren't always a current likeness - apologies to those concerned, I'm afraid! Michael Adlington...excelled himself too. The A Level music scholar won three cups in the festival with an impressive piano solo in the advanced class, the novelty piano class, and the piano duet class... (extract from PLYMOUTH COLLEGE SWINGS WITH SUCCESS! 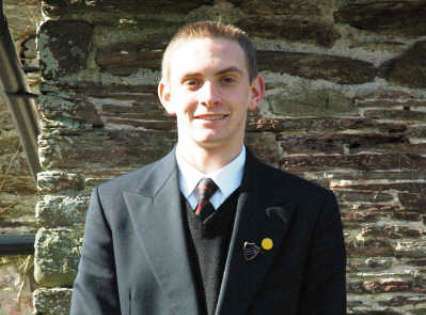 ), highlighting the school's Saltash Music Festival successesl. Michael passed his ABRSM Grade 8 with Philip, and subsequently gained 88 marks out of 100 (Distinction = 75) in his ATCL (Recital) Diploma. He graduated in Music from Cardiff University, took his PGCE at Bristol University, and began teaching in the Bristol area, before subsequently deciding on a career change, and was, for a time, Station Manager at London Marylebone for Chiltern Railways. Ruth Webb (née Hollick) passed her Trinity Performer's Certificate and ATCL Diploma with Philip, before studying at the Royal Northern College of Music. Recently married, she now combines a busy teaching career with performing and accompanying, including the Haydock Male Voice Choir since 2006. Ruth's father, Tony, a music librarian in Plymouth, founded the Laira Youth Band, in which all his six children have played at one time or another! The Squires Family, however, has only five children! 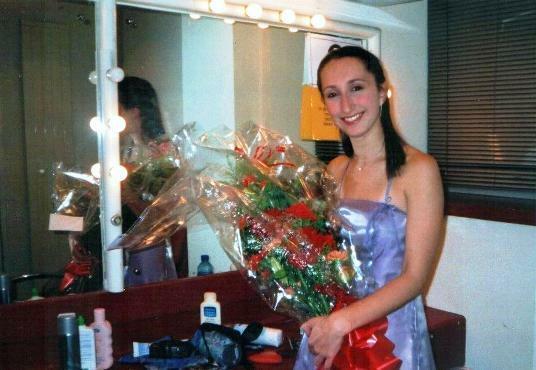 Philip initially taught Hannah, who passed ABRSM Grade 8, and Rebekah, who passed her Grade 5. Lydia, the last to have lessons, passed the TCL Advanced Certificate, and was working towards the ATCL Diploma, before continuing her academic studies elsewhere. Prior to that, he also taught Naomi and Jacob, who both passed their Grade 5. The picture, from a holiday in Tenerife, shows [left to right] Jacob, Lydia, Rebekah, Naomi and Dad (Tim), who is also an accomplished pianist and musician. 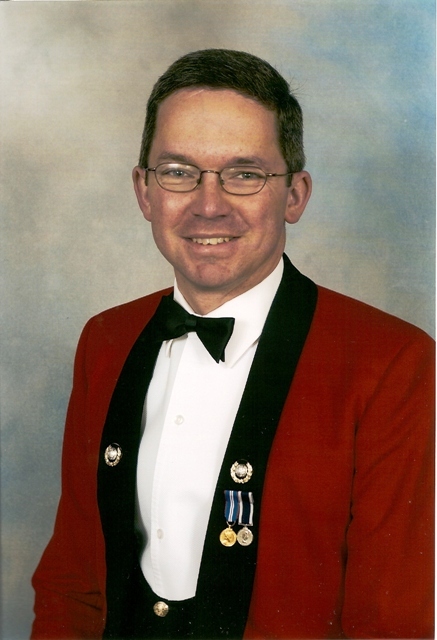 Mick Atkinson joined the Royal Marines Band Service in 1983 and was promoted to WO1 in April 2004, returning as Bandmaster of the Commando Training Centre Band at Lympstone, Devon. His previous draft was with the Plymouth Band in 2002, and it was here that Philip worked with Mick on his LTCL in Piano Performance, and assisted in his preparations for the performance component of his BMus (Hons) degree at the University of Portsmouth. Mick has now left the Royal Marines. Charlotte Badham started piano lessons with Philip in 2003, gaining a Distinction in the TCL Initial, and first five ABRSM exams, and recently passed her Grade 8 with Merit. 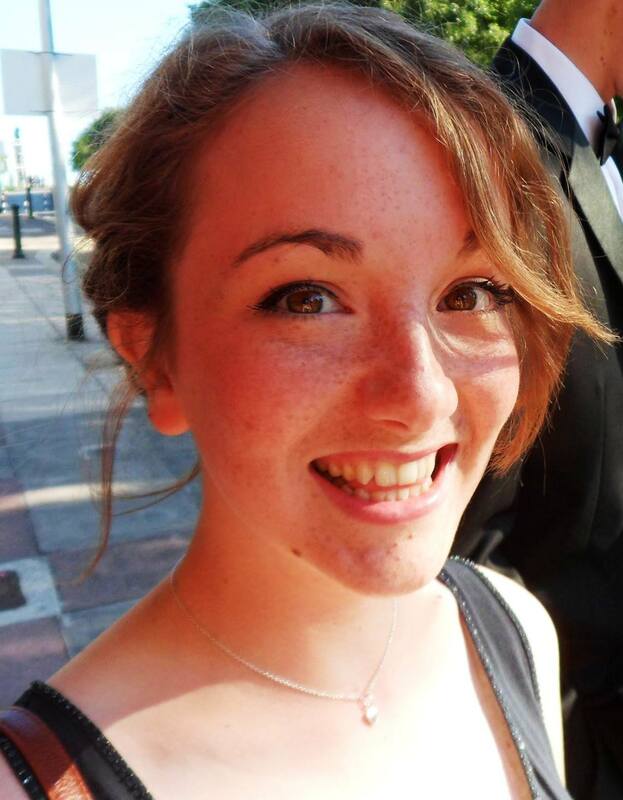 A former choral-scholar of Plymouth College and subsequently at Devonport High School for Girls, a talented singer, Charlotte, who has been involved with most of the city's leading children's musical-theatre companies, is now studying voice at Manchester's Royal Northern College of Music, where she also takes an active part in Student Life - click either title, to hear Charlotte singing Somebody to Love by Queen, or, in complete contrast, The Prayer, recorded live in the beautiful acoustic of Buckfast Abbey, Devon. A while back she sang at Philip's charity concert in aid of Gables Farm Dogs' & Cats' Home, which gave Charlotte the opportunity for a photo-call with one of the home's canine stars, Danny the Lurcher! 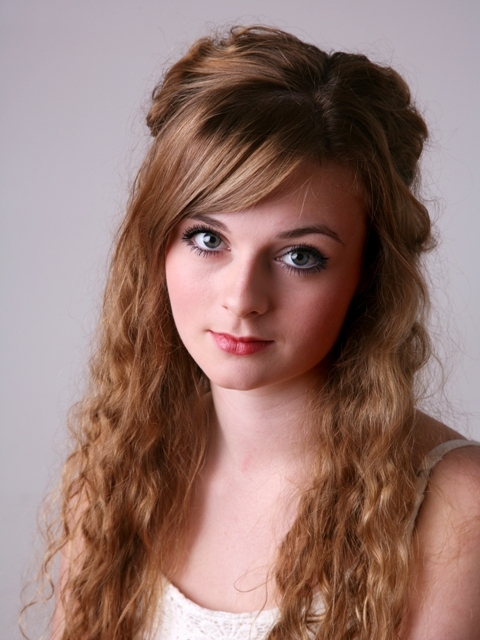 The current picture is part of a set of publicity shots for Charlotte's prospective musical-theatre productions and roles. 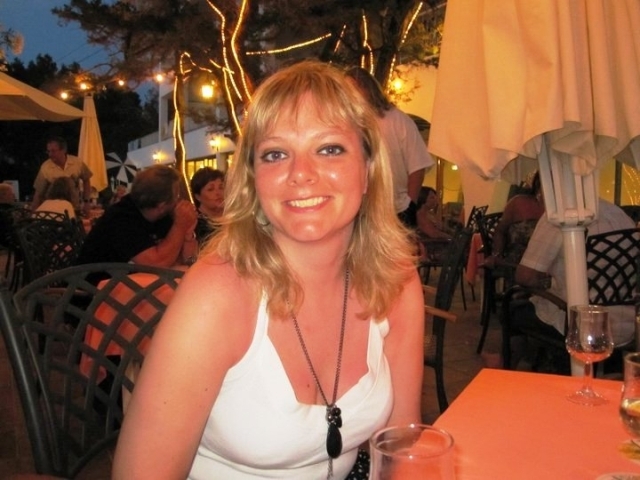 Maddy Allsop began lessons with Philip in 2005, and passed her Grade 1 with Distinction. Since then she took most of the intervening grades, ending with a good Merit at Grade 8. This is only part of the story, though, as Maddy, apart from playing the violin, is also an accomplished singer, and passed Grade 8 with Distinction. With her dual interests in Music Theatre as well as Classical and Opera, she recently received a First-Class Honours Degree at King's College, London, and will now undertake postgraduate studies at the Royal Academy of Music. Erika Sun successfully worked through Grades 1-5, as well as Grade 5 Theory, before deciding to concentrate on her school subjects instead, as Year 12 beckoned. Philip always aimed to make lessons as much fun as possible, but the cuddly toy (Jack-Jack from The Incredibles), wasn't part of the plan! 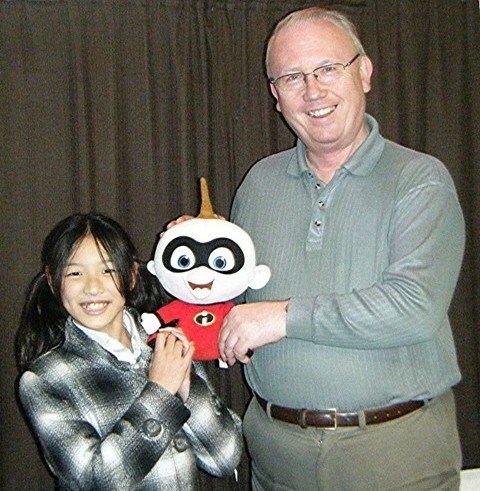 Some years earlier, Erika's former primary school had sent each Year 6 student home with Jack-Jack for a night, and they then wrote a short diary about what he got up to - Erika thinks this was his first piano lesson! Erika's Mum took a picture of us together at our final lesson, where it's hopefully clear that Erika had left on a high, after we had great fun playing my Five-Finger Disco! Duet together - and Erika's decision to concentrate on her school-work certainly paid off, since she got 9 A*s, and 3 As in her GCSE exams! She now reads Fine Arts and Photography at Edinburgh University. Pat Mahon passed TCL Grades 6 & 7, before continuing her studies at Trinity College, London. 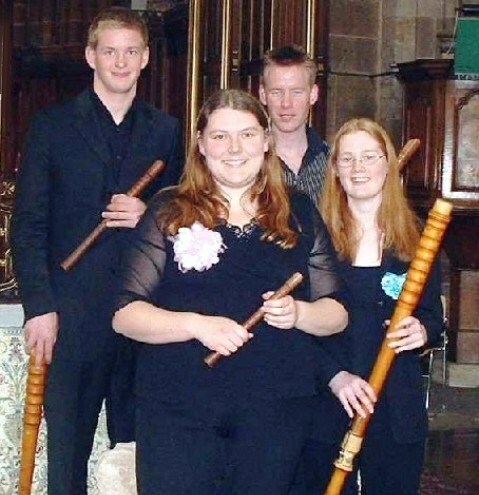 She now specialises in Early Music, and is a fine recorder player and accomplished singer. The picture shows Pat [centre], with members of her ensemble, Mean Time. 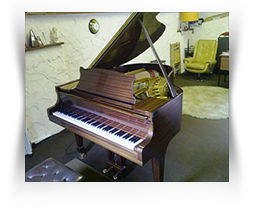 Philip's longest-traveling 'customer', however, remains a Jazz-Piano adult, who occasionally made the round-trip of some 350 miles from Worcester for a top-up lesson when preparing for an exam! For some time, Philip has taught private students from the University of Plymouth, whether studying for a music-related degree, or in a different discipline. By way of example, among his early successes was a graduate in Marine Sports Science, who gained a Distinction in his ATCL (Recital) Diploma, and another whom Philip coached for her final practical performance, and who was awarded a First-Class Honours degree in Music. Another of Philip's students at the university also gained a First, this time in Music Technology. Philip is now a designated Piano Tutor at the University, where he prepares students for the respective recital element(s) in their chosen degree pathway, as well as, more recently, the first teacher (piano) to be appointed to the University's Music BA Junior Academy scheme. 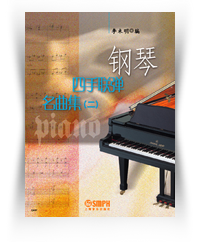 Philip's Sonatina for Piano Duet has been published by the Shanghai Music Publishing House, part of a Florilegium of solos and duets, for use as general teaching material across China. Philip hopes his lessons are both productive and fun, and, judging by just a few of the 'thank-you-notes' he has received over the years, and the fact that virtually all his students remain with him before leaving the area, this would certainly seem to be the case! 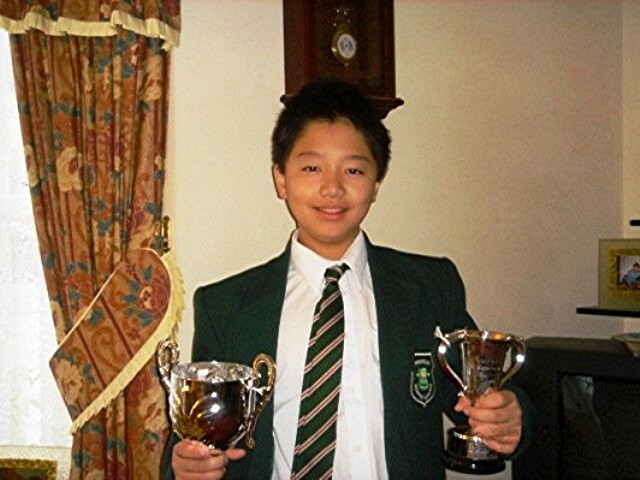 Isaac Chung, who has just completed his medical studies, and shortly takes up a hospital post in Wales, is a post-Grade-8 student, who then enjoyed dabbling in some jazz piano, Mozart and piano duets, seen here holding a couple of the cups he won in the City of Plymouth Music Festival when he was young. Click for a slightly newer photo, taken on a family break in Budapest, and for some more information about Isaac, who recently married a fellow medical student, as he started his first job as a Junior Doctor. Katy Morrison, originally from Gilwern, near Abergavenny, passed TCL Grades 7 & 8, while a student at Plymouth University, where she read Law and Business Studies. Katy finished her postgraduate studies at Sheffield Hallam University, gaining a Master's degree in Human Resources, in which field she now works. She still keeps regularly in touch, despite a busy work and social life, and her recent marriage. Isaac Chung, who has just completed his medical studies, and started a hospital post in Wales, is a post-Grade-8 student, who then enjoyed dabbling in some jazz piano, Mozart and piano duets, seen here holding a couple of the cups he won in the City of Plymouth Music Festival when he was young. Click for a slightly newer photo, taken on a family break in Budapest, and for some more information about Isaac - or click for a light-hearted impromptu videoclip of Isaac playing part of a piano duet with Philip. Isaac recently married a fellow medical student, as he began his career as a Junior Doctor. Katy Morrison, originally from Gilwern, near Abergavenny, passed TCL Grades 7 & 8, while a student at Plymouth University, where she read Law and Business Studies. Katy finished her postgraduate studies at Sheffield Hallam University, gaining a Master's degree in Human Resources, in which field she now works. 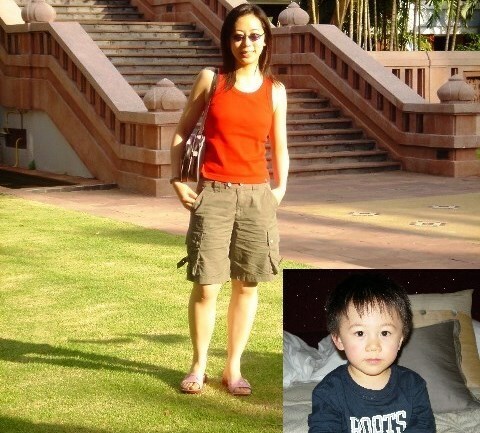 She still keeps regularly in touch, despite a busy work and social life, her recent marriage, and recent new-arrival.. Either way, former Plymouth College student, Tom 'CJ' Brooker, certainly seemed to be enjoying playing one of his Grade 2 Jazz pieces informally to his schoolmates! Watch Tom play here! 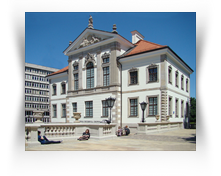 Philip has spent a day as guest of The Fryderyk Chopin Institute in Warsaw, where, in the morning he was taken to the composer's birthplace at Zelazowa Wola and, following a traditional Polish lunch at the adjacent Hotel Chopin, was driven back to the city to visit the Museum there, as well as some of the city's buildings with Chopin connections. 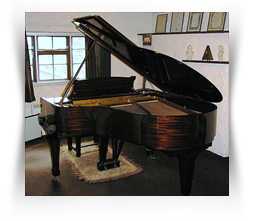 He has compiled a short Diary of Events here, and is most grateful to the Institute for their generosity and hospitality on the day, as well as in supplying a number of Chopin CDs which Philip was able to review at MusicWeb International. Sometimes Philip has found his role as Concert Reviewer helpful in his private teaching. One particularly talented student had recently obtained his ARSM, ATCL, and LTCL Diplomas during Years 12 and 13, and had secured a scholarship at the Royal Birmingham Concervatoire of Music. Philip had reviewed leading British concert-pianist Mark Bebbington on a number of occasions in the past. Mark is also a most sought-after professor at the Conservatoire, and, was happy to continue teaching the student when starting the Undergraduate course there.